Charlie Ladbrook was a familiar figure in the streets of Campden, small in stature, in his brown smock and flat cap, walking with a rolling gait and usually flanked by a couple of Jack Russell terriers and known for his wicked sense of humour. Locals and strangers alike would be greeted with a cheery “How do!” He was born in 1896, elder son of Edwin and Fanny Ladbrook, proprietors of the butcher’s shop in Lower High Street. On leaving school, he joined the family business to follow in his grandfather’s footsteps. In 1917 he was wounded in the ankle, but made a full recovery. When hostilities ended Charlie was serving in Russia. Charlie’s parents closed the butcher’s shop during WWI, but on his return Charlie and his younger brother Lawrence re-opened the shop in Lower High Street, where they traded until its final closure in 1939. Then Charlie became a postman, a position he held for seventeen years. An avid hunt follower, his postal duties would be somewhat ‘delayed’ on Meet days. One of Lionel Edwards’ prints depicts the unmistakable figure of Postman Ladbrook, mounted on his pony, post-satchel across one shoulder, watching the North Cotswold Hunt in full cry. “Your torso has been dispatched”! Charlie’s postal round extended to outlying country estates and farms. On one particular occasion after a day of deliveries with distractions and chats along the way, he finally arrived at the house of a young lady who was soon to be married. Charlie informed the somewhat anxious bride-to-be that he had started the day with a postcard addressed to her, but had somehow mislaid it en route. He reassured her that she should not be concerned, as he already knew the contents of the said postcard, quoting: “Your torso has been despatched!” Thankfully, unlike her postcard, the bride’s trousseau arrived safely! 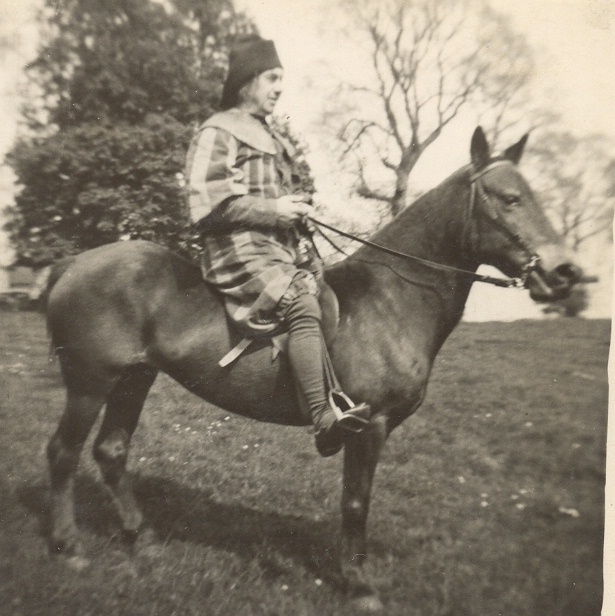 Occasionally Charlie’s niece, Jean, would accompany him on his rounds. She would rise at 5am, first having to catch a reluctant pony in the Coneygree. Naturally, with Jean’s help, Charlie’s rounds did not take him as long as normal. Riding passed the Post Office in High Street, not wanting the Post Master to see him finishing early, Charlie would slide, Red Indian style, down the pony’s side, hanging on to saddle and mane, hiding from the Post Master’s view. This ‘circus’ manoeuvre must have been quite a treat for onlookers! When postal vans replaced horseback deliveries, Charlie had to learn to drive, though how he managed to attain the annual diploma for good driving was a mystery. He could not get the hang of reversing, driving miles to avoid negotiating such a manoeuvre. 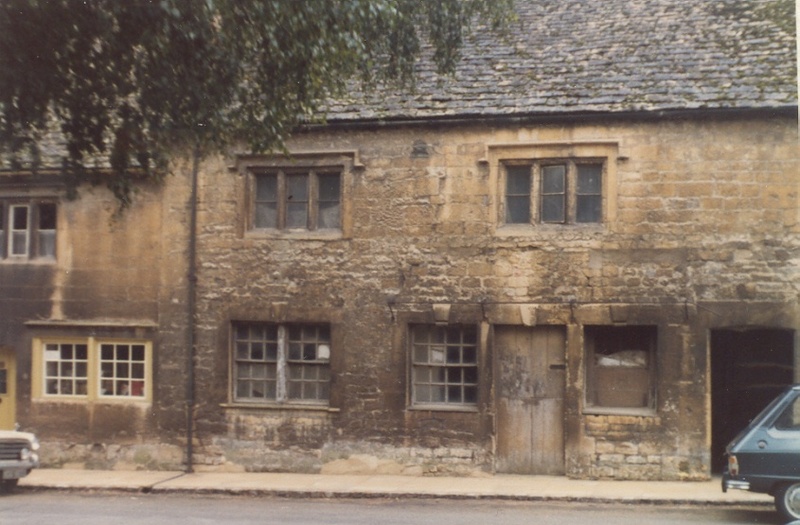 Negotiating the sharp bend in the road in Broad Campden near the Baker’s Arms also gave Charlie cause for concern. He resolved the problem by stopping the van just short of the bend, walking to the bend, then, on assuring himself that the road ahead was clear of oncoming traffic, would resume his journey! 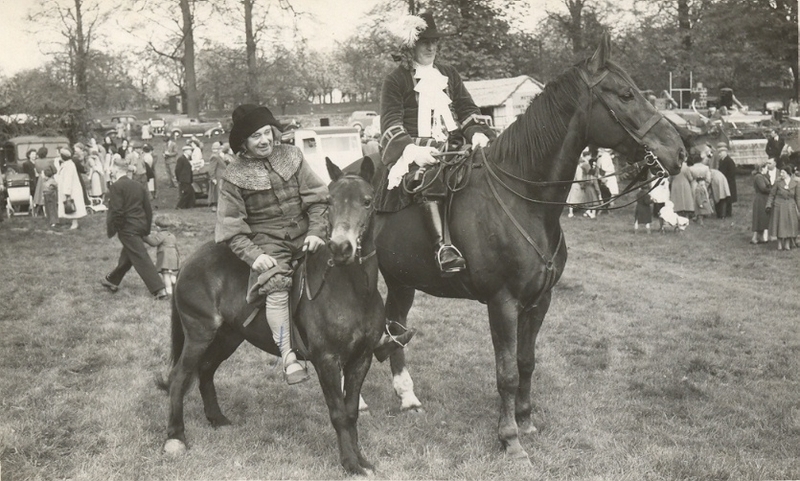 He owned various ponies over his lifetime and would often be seen in fancy dress celebrations on one of them. He took the part of Endymion Porter for the Dover’s Games over many years. Charlie was interested in country music and with his brother Lawrence gave impromptu recitals in any public bar. Joan’s Ale was one of their favourite songs and is still performed by local folk singers. Charlie remained a batchelor, living in the Old Butcher’s House, sleeping in the same room he had occupied as a boy. In his mid eighties, ill-health necessitated a move to The Ellen Badger Hospital at Shipston-on-Stour where he stayed for five years, until his death at the age of 91. Campden was all the richer for characters such as Charlie Ladbrook and he left a huge impression.